The impressive bridge that connects Rio de Janeiro with Niteroi is over 14 km. Many tourists go here to see the famous MAC museum or just pass by on their way to Búzios or Saquarema. But there are more things to it than that, here I have tried to tell you what. This is one of the cities in Brazil with the highest living standard, close to 500.000 people live here. One curious fact is how much warmer it is here than in Rio. It is almost always a few degrees Celsius hotter in Niteroi. Botafogo, along Aterro in Flamengo over the bridge and all the way to the Estaçao de Barcas (boat terminal) in Niterói. On weekends and holidays they leave much less frequent. Ferries In the centre of Rio you have a ferry terminal where you have a slower boat going to the above mentioned terminal, to get to the ferry just catch the Metro the station Carioca and walk down the street Rua da Assembléia. 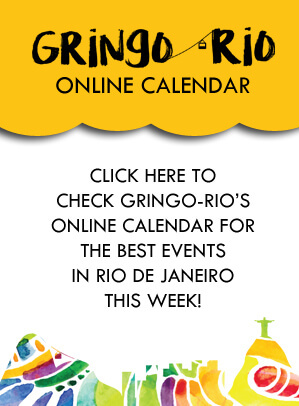 All the info you need about getting around in Rio you find by clicking this link. 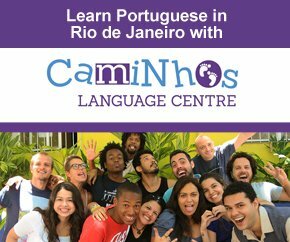 Car This option is particularly good if you want to get to the beaches I will mention below, otherwise that can take a long, long time… Click here to get to my page about Car Rental in Rio. 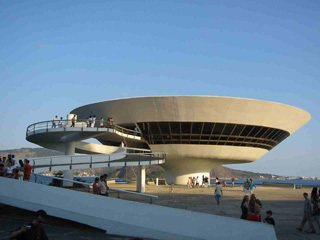 The most famous image of Niterói is that of the museum Museu de Arte Contemporânea (MAC). Partly designed by world famous Brazilian architect Oscar Niemayer and inaugurated 1996 the spectacular shape has attracted a steady stream of visitors. Not very well suited for exhibitions (it´s circular!) it is the spectacular views of and from the actual museum that is the highlight. From the ferry terminals you can easily catch a bus to get there. Piratininga with big waves it has a calmer section on the right which is good for bathing. Camboinhas Also with open sea but the sea is calmer, higher standard neighbourhood. Itacoatiara Last but not least is this gem wedged in between two big mountains, good for surfing but not for bathing, on the right a little bay with calmer water always full of families since less surf. Posh neighbourhood. There are buses leaving from the center to these beaches but they are notoriosuly crowded, car is a better option. 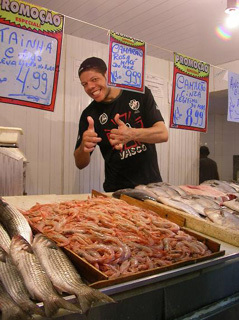 Within walking distance from the ferry terminal you have Mercado de Peixe São Pedro. If you came with the van you can ask them to drop you off since it’s on the way. Here you can see gigantic fish and other seafood on display, on the second floor you have restaurants that most of the time accept to cook your purchases for a fee. It’s open Tue-Sat 6h/18h and Sun 6h/12h.